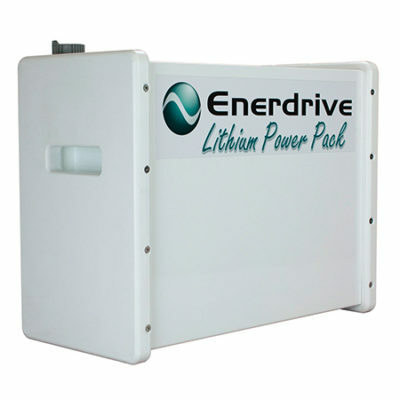 Enerdrive’s new ePOWER B-TEC LiFePO4, Lithium Iron Phosphate 12v Battery with Smart Phone Monitoring. Available as 100Ah, 125Ah and 200Ah batteries. Available in 12v 100Ah, 125Ah and 200Ah capacities, the ePOWER B-TEC lithium battery is designed and intended for use in deep cycle applications where a single battery is required that meets the amp hour capacity. The battery is also equipped with an internal Battery Management System that can monitor and optimise each Prismatic cell within the battery during normal operation. It will protect the battery pack from over charge, over discharge, over temperature & short circuit. The BMS helps to ensure safe and accurate operation of the battery. (Based on standard depth of discharge for both Lithium (80%) and AGM (50%). The ePOWER B-TEC battery provides 60% more usable power than its equivalent lead acid cousin and being nearly 50% lighter and 30% smaller makes for a superior alternative. 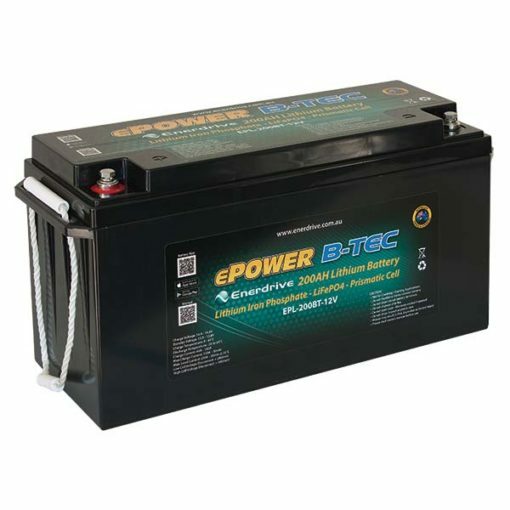 The ePOWER B-TEC battery is perfect for camper trailers, 4WD’s (AUX battery), caravans, small water craft, low power communication sites or any other application that requires the use of a single deep cycle battery that meets the amp hour capacity. With over 5 years of researching, designing and testing lithium batteries and the associated charging systems, Enerdrive are at the forefront of lithium battery systems in Australia. 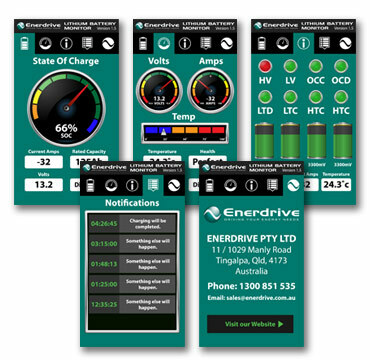 Enerdrive are the only Australian company that can supply a fully integrated self-branded energy system to suit your setup. With over 1200 complete systems in operation Australia wide, Enerdrive is regarded as the leader in the field of lithium batteries and energy systems for Mobile, Marine and Remote applications. Please Note; The ePOWER B-TEC battery is not designed to parallel connect extra batteries to increase the overall capacity. This is due to the internal management system BMS which does not have the ability of physical connection to a second B-TEC BMS system for balancing of the cells between each battery. 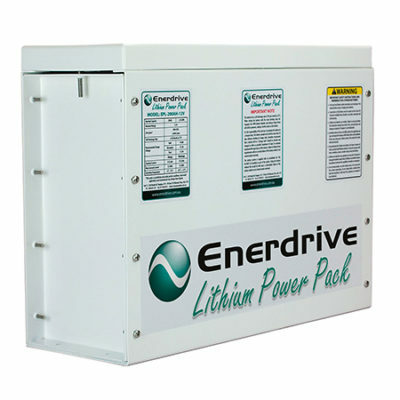 If you are requiring a battery system larger than ePOWER B-TEC battery, please look at the Enerdrive Lithium Power Pack Systems which can offer this level of cell balancing protection. The battery is supplied with a LiFePO4 Battery Management System BMS that can monitor and optimize each single prismatic cell during charge & discharge, to protect the battery pack from overcharge, over discharge & short circuit. Overall, the BMS helps to ensure safe and accurate operation of the battery.